There are many reasons why you would want to lighten your skin. In some instances, the need is urgent and one seeks to find out ways on how to lighten skin fast. 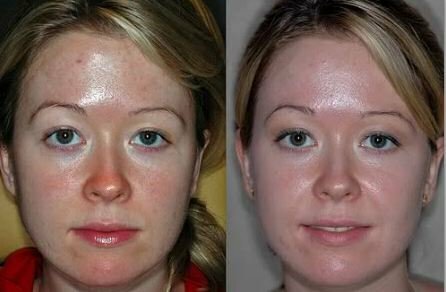 Is it possible to lighten the skin overnight, in a day or in a week? Are there options on how to lighten black skin? The presence of acne scars, aging spots and sun spots may lead one to want to lighten their skin. The most appropriate method in each case is normally different. There are various factors to consider before committing to any form of treatment. Ensure that you can afford the recommended treatment regimen. Also consider how much time you are willing to dedicate to the process. Above all, whichever the method one settles for, it should be effective. In case you are not pleased by how your skin looks, there are a number of ways on how to lighten your skin. These could either be done at home or in the dermatologist’s office. They all work but in different ways and thus take different time duration to be effective. Turmeric: This spice has skin lightening properties. It inhibits production of melanin making the skin lighter. Mix turmeric powder with olive oil and apply the resulting paste on the skin. Leave it on to rest for 20 minutes after which you rinse it off. This should be done twice in a week until desired results are achieved. Any staining that the skin gets should wear off within no time. Raw potatoes, tomatoes and cucumbers: These will mildly bleach the skin since they contain ascorbic acid. Cut a whole raw remedy of your choice into reasonable sizes. Rub this on the skin until it feels dry. Let the juice rest for some time before rinsing it off. You could also blend them and apply the paste. Aloe vera: This soothes the skin and can help ease redness as well as facilitate fading of discoloration. Through its moisturizing abilities, it helps to rejuvenate the skin. Simply apply aloe gel on the skin and leave it on for some time. The best gel is the one extracted directly from the leaves of aloe. 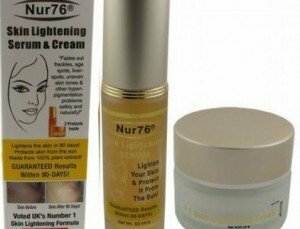 There are many products available for skin lightening which can help you achieve the skin tone you desire. Most of these are available over the counter although there also are stronger ones that can only be accessed if one has a prescription. Lightening creams, gels, lotions and serums are abundant in the market. These come with manufacturer instructions which have to be followed for one to achieve desired results. While some are made for specific skin types and color shades, there are some that will work on any type of skin. Finding out whether they are suitable for you is therefore important. Although they are generally safe, any irritation on the skin should be a warning sign. Discontinue usage when this happens. Lightening soaps: These are as well meant for topical use. They contain active ingredients that slough the top skin layer as well as inhibit melanin production. Among ingredients contained in them are arbutin, kojic acid, alpha hydroxy acid and glycolic acid. 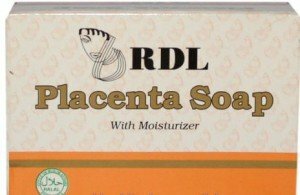 Placenta soaps and glutathione soaps are also effective. Retinoids: These are products that contain the acidic form of Vitamin A. they help to exfoliate the skin as well as speed up the cell turnover and are a great way on how to lighten your skin. They also are quite effective in evening out fine lines and wrinkles. The result is a lighter skin with no blemishes. Since this form of treatment can cause redness and dry the skin, it is best to apply them at night and ensure you wear sunscreen during the day. This will protect the sensitive skin from sun damage. To get retinoids, a prescription is necessary. Be sure to visit your dermatologist for one. Medical treatments: There are medical procedures that one can settle for to lighten their skin. 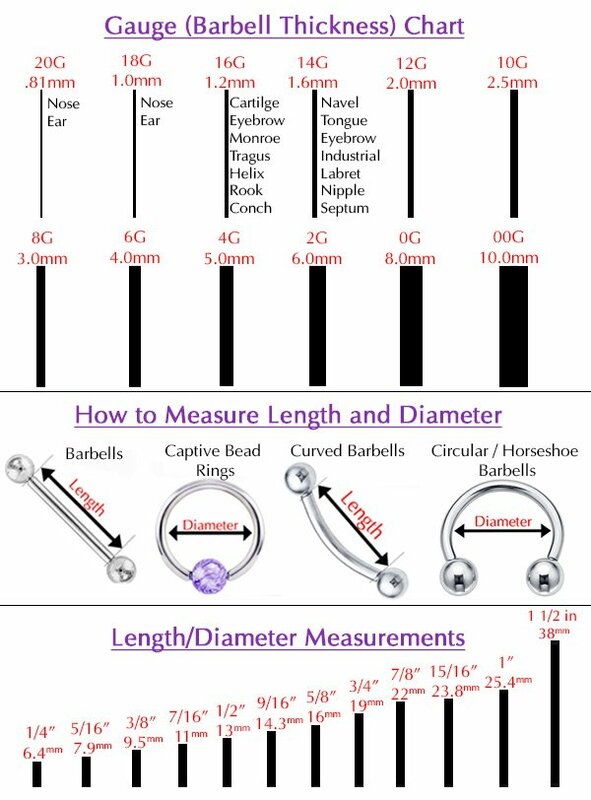 Most of these are expensive but work fast. These are therefore the option for you if you are looking for a fast way on how to lighten your skin. For the procedure to be safe and effective, the treatments are best done by qualified medical personnel. The procedures include chemical peels, laser treatments, dermabrasion and surgery. Injections and peels are also available for the same purposes. For ways on how to lighten skin fast, it is best to opt for medical procedures for skin lightening. These are many and they can enable one achieve up to five shades lighter. This can be achieved within no time but one has to organize for some time off for recovery. Chemical peels: These are quite effective in skin lightening. They get rid of the top skin layer and thus get rid of the dark skin pigmentation. How lighter one becomes depends on the strength of the chemical peel used. More than one treatment session may be necessary to achieve the desired skin tone. Once the process is over, the skin becomes sensitive. One may be required to stay away from the sun as well as wear sunscreen to protect it. There are times when circumstances may require that we get a quick solution to our skin issues. When you are having an important occasion, it is possible to wonder how to lighten your skin in a single day or overnight. Home remedies for use at night can help achieve desired results. Apply lemon juice, aloe vera or honey on the skin and sleep on it. These products will work on the skin to ensure you wake up to a new skin that is brighter and lighter. Mild chemical peels can help one achieve a skin tone that is lighter within a week. Since it only takes a few days for the skin to peel, it is possible to have recovered within a week. Stronger chemical peels may exfoliate the skin within a week but more recovery time is necessary. Where one wants to lighten their skin and be in a position to venture out within a week, mild peels would do. 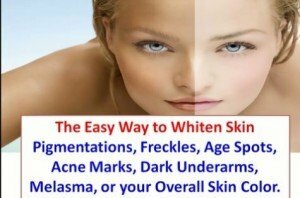 There are many skin lightening creams that are suitable for black people. Black skin may require products that are of higher strength to get lighter. Compared to people with lighter skin shades, black people require more treatments as well. They may not necessarily become white but will be lighter from given treatments. Among some of the products for use on how to lighten black skin would be Obagi Nu-derm Clear, Porcelana and Esoterica. These are available in most drugstores. Products that contain hydroquinone could work well. These though should only contain up to two percent of it. Anything beyond this is dangerous and not allowed. Products containing mercury are to be avoided at all costs as they are linked with cancer.